Moog has launched a new version of the D680 Proportional Valve Series. 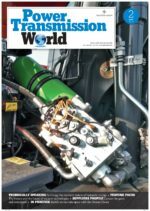 Moog’s D680 Proportional Valves are throttle valves for 2-, 3-, 4- and 5-way applications, suitable for electrohydraulic position, velocity, flow and force control in hydraulic systems. The D680 product range has integrated electronics, and is suitable for applications with high dynamic response requirements. The newly launched version in this series is a two-stage valve with a closed-loop controlled D633 Direct Drive Servo Valve as the pilot stage. This latest addition of the product provides increased dynamics, repeatability and is more robust, making it suitable for use in even the most demanding environments. 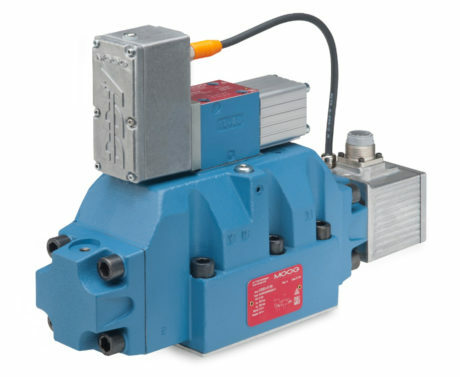 The D633 Direct Drive Servo Valve Series pilot stage with open-loop control has been available for many years. Moog developed the new version in conjunction with machine builders in the plastics, metal forming and presses and steel production sectors, better to meet the needs of these applications. The new pilot stage option is ideal for applications requiring high dynamic performance, where longer service life and energy efficiency are critical. The Moog D680 Proportional Valve Series has a proven design that provides reliable control for machinery in industries such as injection and blow molding, die-casting, steel production, metal forming and presses and lumber processing. This product range can be easily integrated in new designs, and configured to meet the exact application and performance requirements of industrial machinery and equipment. In addition to the proven dynamic performance of the existing series, the latest D680 Proportional Valve design is robust and reliable, with the benefits of a long service life and significant energy savings.